In today’s world of complex supply chains, precise synchronization of your supply chain is paramount to ensure you realize the highest levels in competitive advantage. Optimizing technology, software and, innovation, allow businesses to become more flexible in managing their supply chains efficiently. Being agile is a key metric to delivering a customer-centric supply chain. The supply chain landscape is becoming increasingly complex, with an ever-increasing number of moving parts that are difficult to keep track of and integrate. In fact, in a PwC survey of 209 international companies, 95% agreed that discrepancies between supply chain entities had risen over the past few years, and 74% agreed that the number of entities in the supply chain had increased. The evolving sophistication of supply chains makes it problematic for retailers to meet the demands of modern 24/7 consumers, who expect retailer companies to stay on top of trends and provide them with what they want when they want it. Retailers who rely on fragmented supply chain technology and manual processes will find it extremely difficult to maintain oversight and control of today’s complex supply chains that will enable them to respond quickly to the demands of contemporary consumers. The solution to supply chain complexity for retailers is to adopt supply chain synchronization which I’ve written about in the past. However, it is worth revisiting, as the requirement for it is higher than ever due to the demands of modern consumers. So, what does supply chain synchronization look like? It’s a world where all parties involved in the value chain, collect, analyze and use information in real time. It entails inventory optimization technology working in collaboration with a multitude of other software, and innovative technologies to enable businesses to manage their critical path, and product lifecycle in real time with vastly improved accuracy. Suppliers organizing raw materials, and planning production around realistic and quantified lead times. Retailers ordering the right goods closer to sales orders. Logistics providers determining shipping requirements with improved certainty. All participants in the supply chain working in collaboration with each other, understanding how their contribution interconnects with others, and that the synchronization of these players enables various strategies to achieve the highest level of success and efficiency. We live in a world where all players in the supply chain working collaboratively, and cooperating in unison is achievable, and perfect order fulfillment on every order is a closer reality. The key to continuous improvement is synchronization. 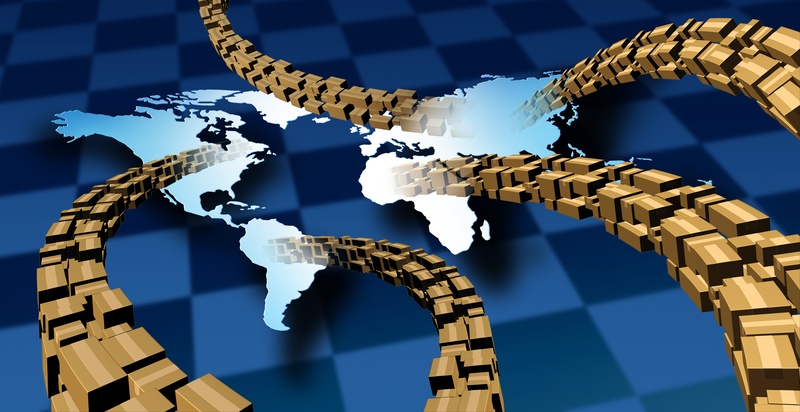 By achieving supply chain synchronization, you enable seamless collaboration of all partners and vendors involved in the supply chain network, however multilayered or complex that network may be, allowing you to optimize your supply chain to achieve faster speed to market, thereby satisfying the requirements of contemporary consumers. A synchronized supply chain also enables supply chain partners to be proactive, to mitigate risks and minimize potential damages when something unexpected arises. As explained in a previous post, “Supply Chain Synchronization - No Magic Pills Needed,” the best way to maintain synchronization is to establish a supply chain digital strategy where the first step is to achieve real time visibility of your end-to-end operations. You and your partners need to be ready for the market disturbances you have no control over. For example, incremental weather predicted to hit a vendor location creating potential chaos, affecting ports, airports, highways, and other infrastructure. You need to be able to rely on your suppliers and logistics partners to take the standardized and synchronized actions that have been put in place. This will enable you to exercise your ‘back up plan’ in collaboration with all the partners involved. You can be proactive in adjusting shipping schedules and routes, and re-setting expectations for delivery timetables in collaboration with all your partners and vendors. As stated in my previous blog post, there are five key steps involved in achieving supply chain synchronization. Facilitate collaboration and engagement - Enlist the supply chain participants as key stakeholders making sure everyone is engaged in their role to ensure synchronization, both internally and externally. Segment your suppliers, identifying the relationships that yield the most profits and start the process in collaboration with them first. Establish complete visibility - Map the end-to-end processes in the shared community. Ensure you identify and road test every process to provide exact lead times with all considerations, and any known buffers. Share that data with the community, so everyone knows what to expect. Collect and analyze real time and trusted data - Define who provides the data, how to capture it, and where it needs to go so that all parties are working off one version of the truth. Monitor, manage, execute - Ensure the system informs everyone in real time of any deviation to the plan or where disruption may loom, enabling all participants to collaborate and take action as appropriate. ‘Measure, remodel, re-engineer’ - Don’t wait for end-of-year reviews to examine whether your supply chain synchronization efforts are working. Regularly measure performance, and let the system analyze and predict to help plan for future ordering. A digital supply chain management platform, such as Gravity Supply Chain, will support your achievement of the above objectives, since it has been built from the ground up with supply chain synchronization in mind. Have you considered the impact of not leveraging the new technology to support and digitize your supply chain? Click here to schedule a product demo with Gravity Supply Chain and learn how the platform can help you achieve supply chain synchronization. Dave Graham joined the Head Office team in 2014, as Head of Business Partnerships. As the primary liaison between customers, product managers, and customer success managers, he ensures implementations run smoothly, and future product updates reflect customer requirements. During Q1, 2019, Gravity rebranded its sales organizations, and Dave accepted the exciting new role of ‘Head of One Commercial Team.' The new position will encompass the restructuring of existing commercial teams as a united force which can effectively manage and house Delivery Partner Networks, Resellers, Channel Sales Partners and Gravity Direct Sales Channels. This restructuring will allow Gravity to grow, share, and competitively compete-creating the supply chain functionality he wished had been available when he was working with some of the world’s largest retailers. Dave has gained significant global experience within the supply chain industry. He initially worked for an internationally renowned, homeware and fashion retailer as International Shipping Manager, before moving into product within a globally respected supply chain management, solutions provider. While residing in the U.K., Dave accepted the role of Head of Account Management and Branch Manager, South Africa. His responsibilities included the forging of relationships with key accounts while stabilizing existing accounts and winning new business, all of which resulted in new branches opening throughout the country. 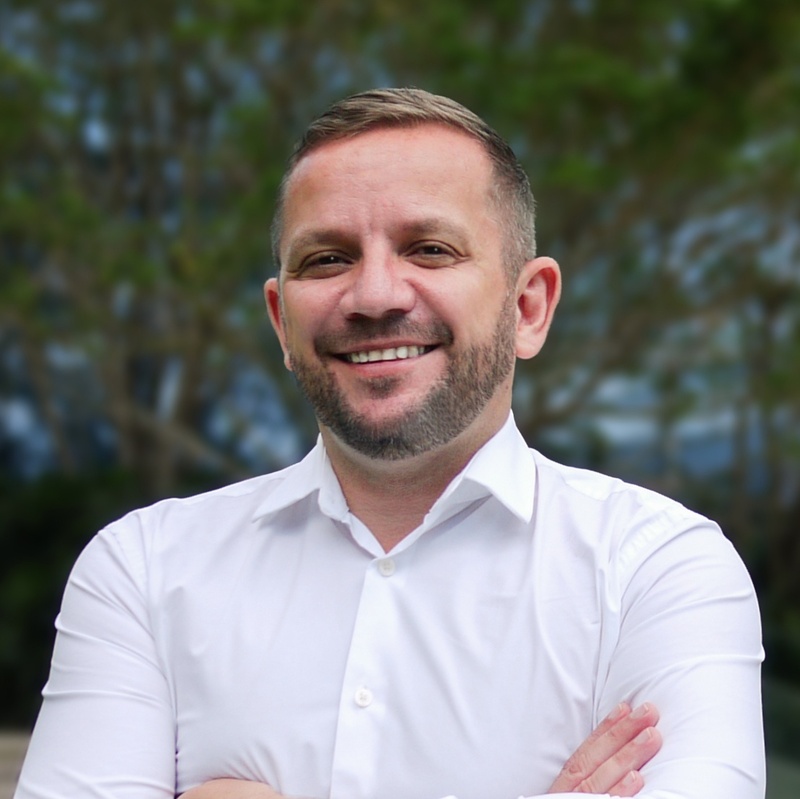 Embracing his passion for the Southern Hemisphere took Dave to Australia, where he became GM for Commercial and Account Management, responsible for all landside operations, system solutions, scoping, implementations, sales and commercial for a global logistics provider. Dave possesses a fantastic aptitude for servicing customers’ requirements, managing supply chains, and coordinating the relevant teams, developing the tracking solution to mirror the customer’s supply chain demands; essentially building strong business relationships (both internally and externally) with whoever he interacts.